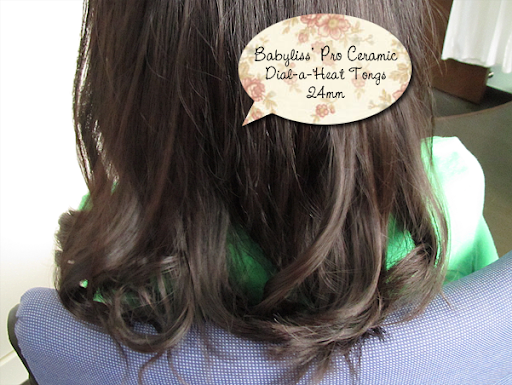 First, I curled her hair with Babyliss' Pro Ceramic Dial-a-Heat Tongs in 24mm (Read about my purchase and review here.). I used a very low setting (5. I used 13 for mine but I was afraid of damaging her luscious locks, which are completely free from chemicals!) 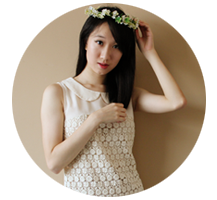 and wrapped her hair loosely round the barrel. She didn't want tight curls lest she looked older than she actually is. 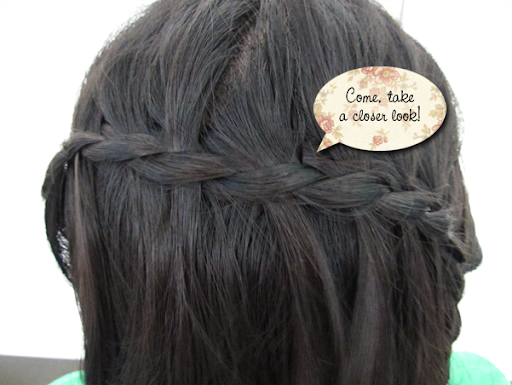 Then I did a waterfall braid for her!!! 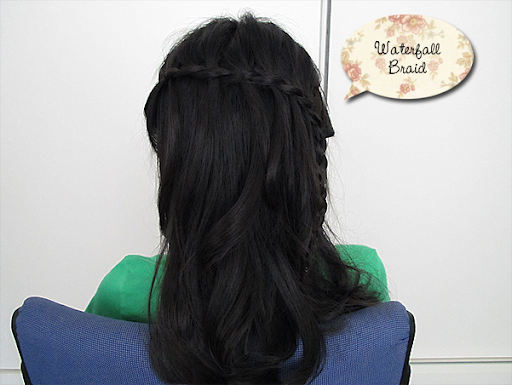 Waterfall braids look a lot more feminine with hair that has been curled! I can't wait for my hair to grow out! SIGH.